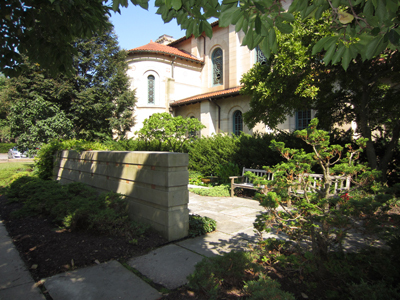 OHC Volunteer William Yin has written a feature about Oberlin College's World War II Memorial Garden, located near Finney Chapel. This article was written as part of an ongoing effort to research and post more information about Oberlin's landmarks, a list of which can be found under our Research and Learn Menu. William is a graduate of Oberlin High School and the University of Washington - Seattle.